Gosh, that is absolutely stunning. Cape Town is so beautful! Georgeous photo. And I know exactly what you mean about jigsaws – you’ve now got my fingers itching to do a puzzle! Interesting post Kerry-Anne. 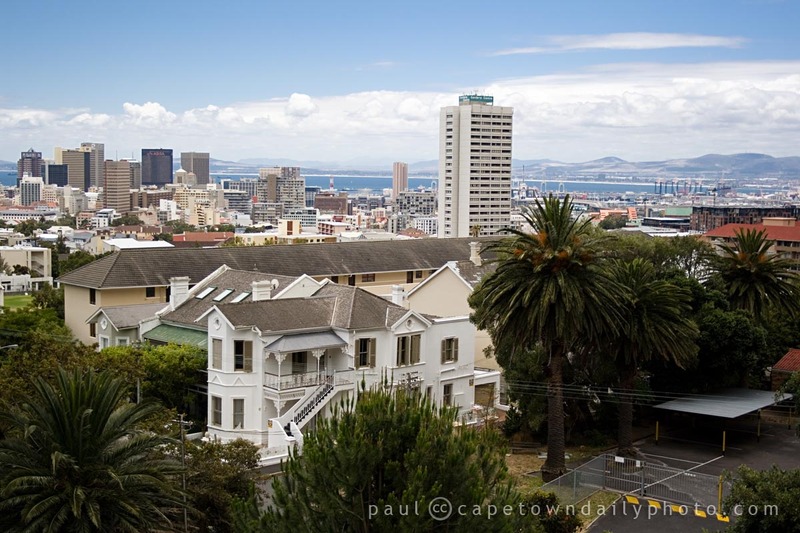 We were on holiday in Cape Town when the 2010 final draw was made and, having decided that Long Street may be too frenetic for our aged bones, went up Signal Hill to take some photos looking down. The results were a little like yours – the unusual downward angle made all the buildings really interesting. I had the same thought about jigsaw puzzles – I bet there is someone on the web that would turn photos into a puzzle – and they would make lovely personalised gifts come to think of it. Hi Helen, I just recently came across this website through Google and was wondering if you still need a puzzle made from this picture. I do personalised jigsaw puzzles and our biggest size is a 180 piece puzzle (A3 size). Let me know if you still interested.